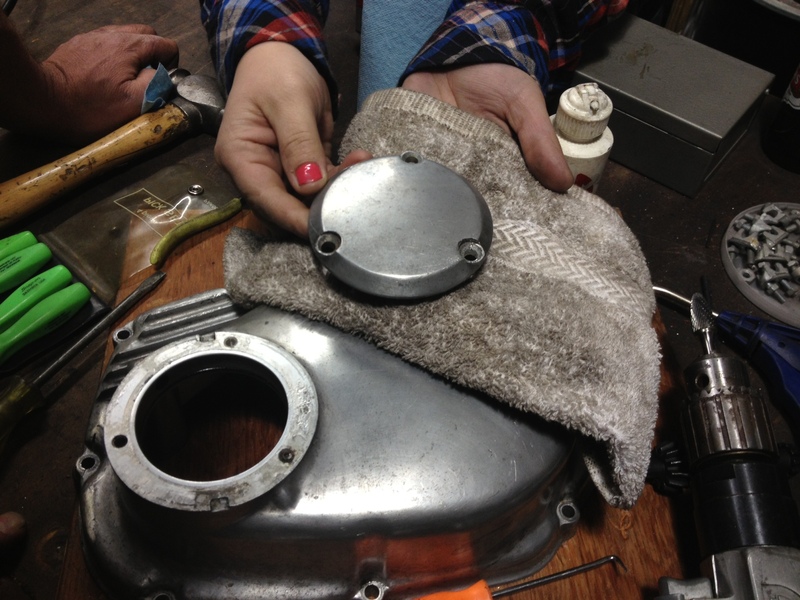 Stephanie’s 1973 Honda CB350G alternator cover came to Moto Monday night at MotorGrrl this week with 2 badly hardened steel stripped screws. It took all night, but we ground the heads off to pull the oil bypass valve and retain the cosmetic appearance of the cover. 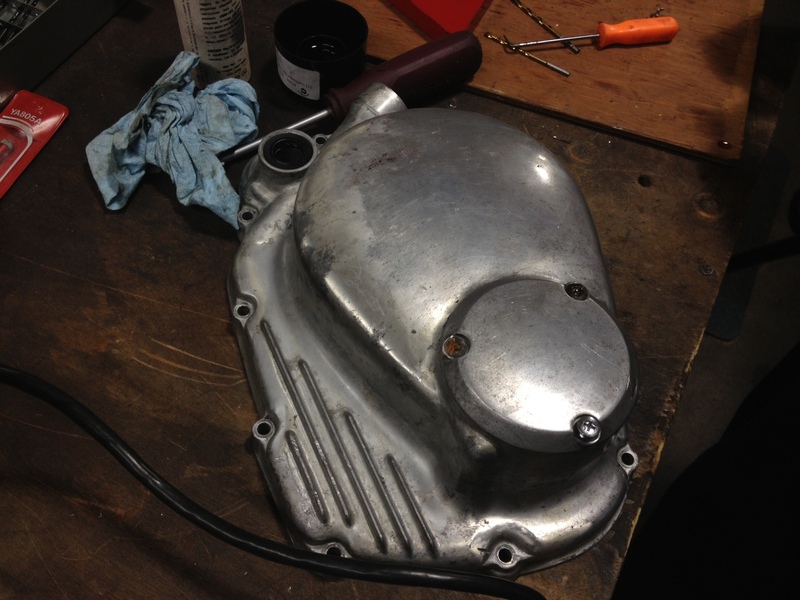 This entry was posted in Project bikes, Wrenching and tagged cb350, garage, garage day, garage girls, honda, honda cb350, moto mondays, motorgrrl, the miss-fires, the missfires, vintage motorcycle, vintage motorcycles, winter projects, wrenching. Bookmark the permalink.